I started this year with my standard size UglyDori which I used (and still do) as my art/creative journal and an A5 day on one page diary from PaperChase, I wanted to keep everything in one book and have an hourly schedule plus a ToDo list on one page… I think this lasted for a week or two before Was drawn back to an Erin Condren Life Planner. I missed having the big monthly sections to forward plan and places to write notes etc plus they had just released their new covers and had a funky Art Deco one that caught my eye.. you know how much I love Art Deco! So the ECLP was ordered and I fell in love with the system all over again, even though I did suffer buyers remorse at the $85 i’d spent on it! 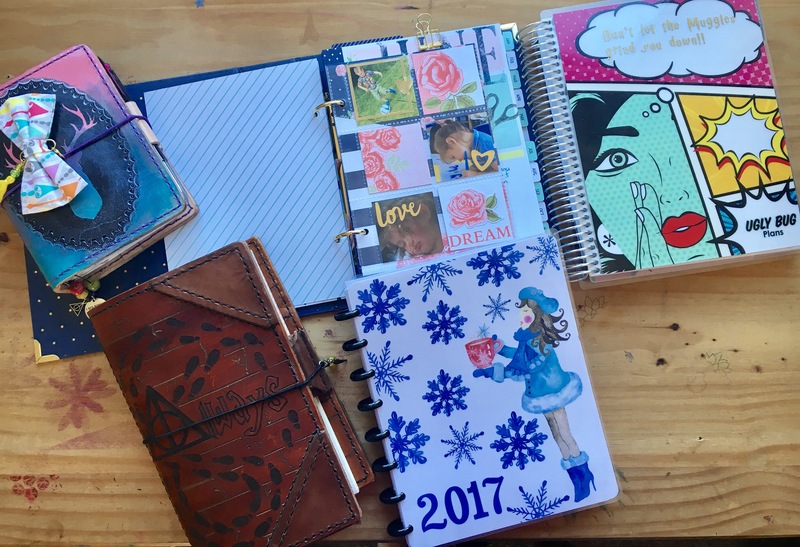 Life seemed complete until I needed more room to plan my blog which is when I started playing around with my “planning system” to find one that worked. 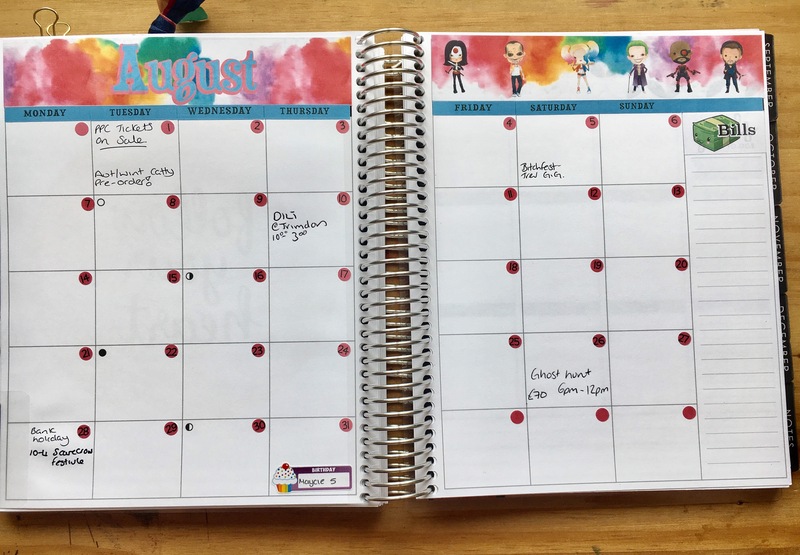 I ended up settling on using my ECLP s a blog planner, my new A6 UglyDori, with week on one page inserts from CraftyAli on Etsy, as my every day carry and my new Stampin’ Up! 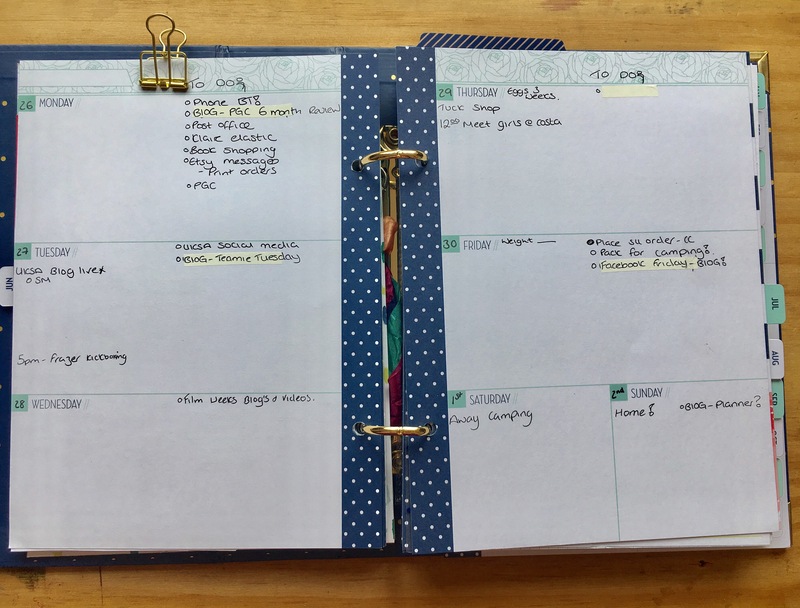 planner as my desk diary which houses all of my daily ToDo lists and is pretty much as close to a bullet journal that I could get in a ring planner! 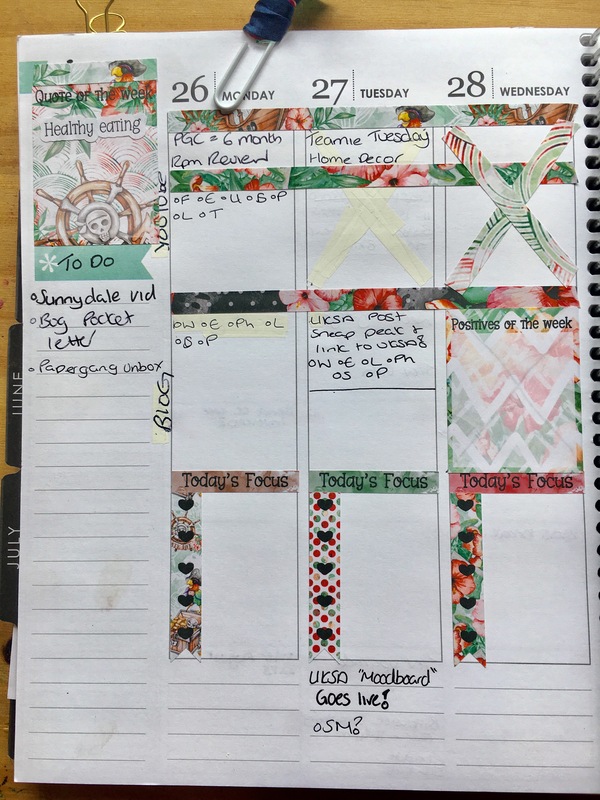 ..yes I know I’ve committed a massive planner sin by using with out tape in my planner, believe me it hurts my eyes too but I didn’t have a sticker big enough to cover the whole box haha. I’m happy with this system for now but I do have a Busy Days Planner on its way to me, which if it is as good as I think it will be could shake the whole system up again! I love your planners. 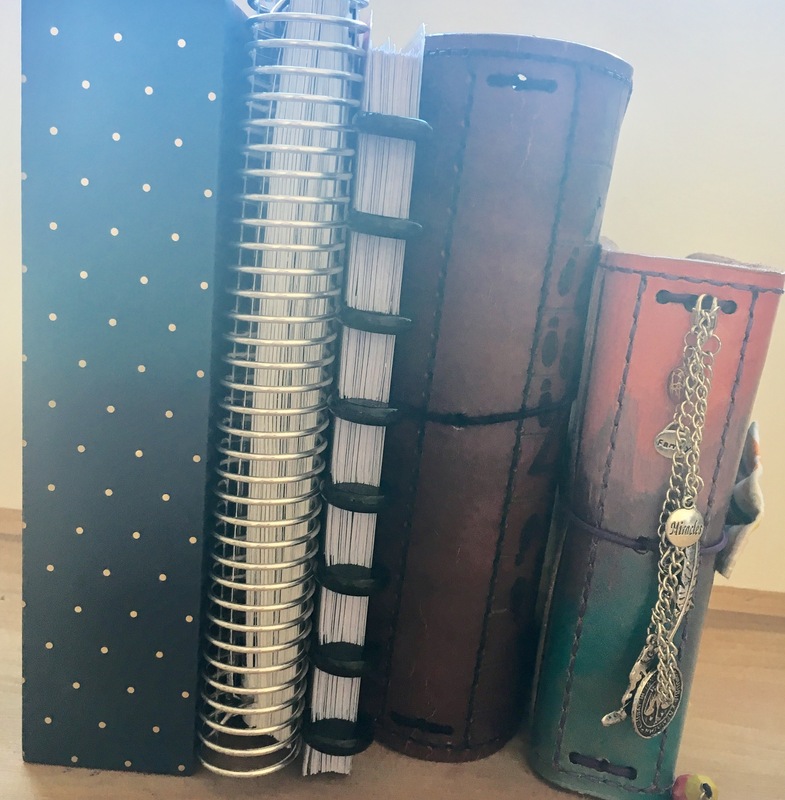 I like having several planners, it helps keep all my projects in order, although I keep thinking I want/need and ECLP. I just can’t justify the price at the minute, maybe one day.